Mongolia is located in Northeast Asia and borders China. The capital of Mongolia is Ulaan Baator. They're population is 2.839 million people. They also have one of the smallest population densities of any country. Mongolia has a Parlimentary Republic type of government. However, they have a Semi-Presidential system. Tsakhiagiin Elbegdorj is the Mongolian president. They also have a prime minister who is Norovyn Altankhuyag. Mongolia has a free enterprise type of econamy. Their currency is a Tögrög. A Tögrög is worth 15% of a U.S. dollar. However, there GDP per capita is only $4,800 and their economy rank is only 142nd. The 2.839 million people living in Mongolia speak Mongolian. They have a literacy rate of 97.8% which is pretty decent. The men of Mongolia are expected to live until they're 63.8 years old. The women are expected to live until there 72.7 years old. 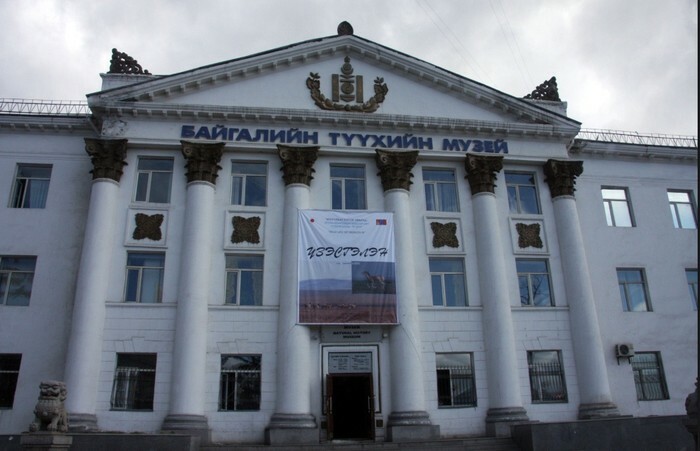 The National Musem of Mongolian history. All through the Musem you will be able to observe some of the oldest artifacts in Mongolian history. 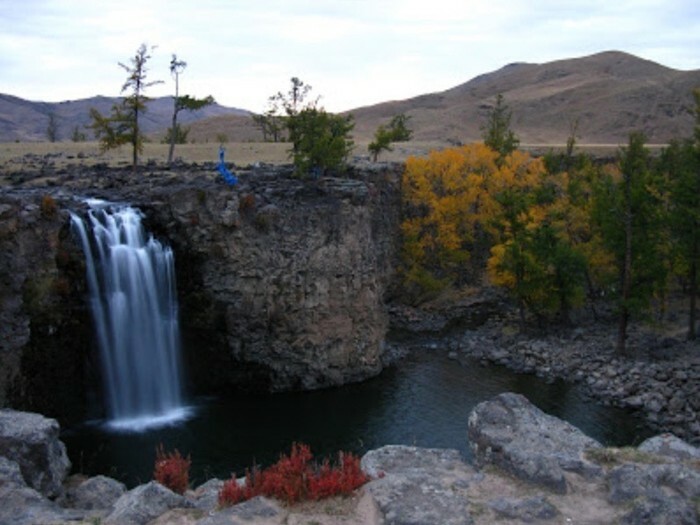 The Orkhon Khurkhree waterfall is a very popular tourist site. The water fall falls 80 ft to a pool below. The water may be cold but that doesn't stop some from swimming. Early morning tourists come to the Bayan Zag. They look to see the amazing colors come to life. 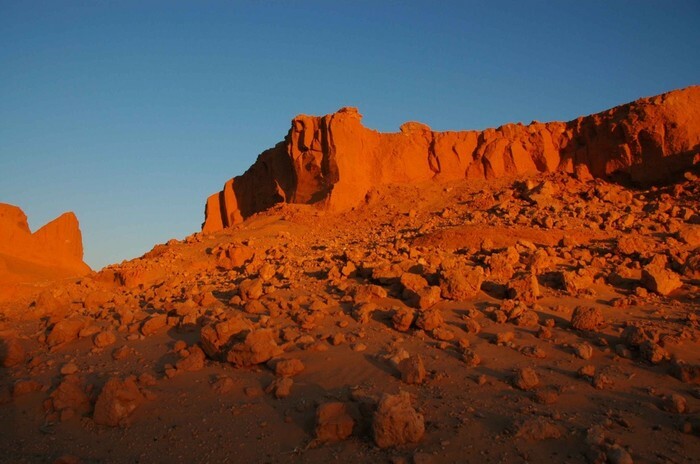 The people call it the flaming cliffs and it is located in the Gobi Dessert. Genghis Khan was the founder of the Mongolian Empire. He was born in 1162 and came to power by making an army of nomadic tribes from Northeast Asia in 1206. He began the Mongol Invasions. These ended in them conquering almost all of Eurasia. He then passed in 1227. The Mongolian empire already conquered most of the land beginning at Mandjouri to Caspian Sea. In 1907 the Qing government created something called chinilization. This is a process in which non-Han Chinese civilization come under the effect or control of the dominant Han Chinese civilization. 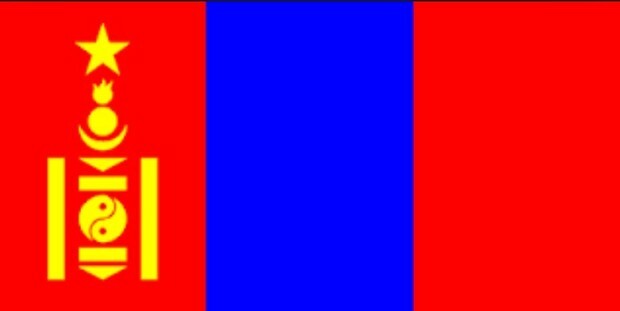 Then following this, parts of Mongolia declared independence from the Qing government in 1911. In 1962 Mongolia became part of the communist Soviet Union. A large Soviet army was put in Mongolia after aggressive Intimination from China In 1969. Mongolia started having small relations with the U.S. in 1987. In 1990 huge democracy demonstrations went on. Soviet Unionn announced that they are taking all the troops out in 1992. Also in 1992 a new constitution was created, an election law was put in to play, and an election was held for the first legislature. Mongolia's biggest issue is there environment. Little fresh water in some areas, polluted air, loss of many trees, and mining all have a big impact on the environment. This is due to the prior communist government who had a urbanization push. One major company in Mongolia is Tavan Bodg Group. This is a group that has foreign and domestic trade, service, tourism, hospitality, manufacturing, and real estate industry. To improve there country, Mongolia could create more jobs. They should use there resources such as copper, gold, coal, and much more to there advantage by exporting more of them. By doing this they would get more money and create more jobs.